Franklin-Christoph Model 02 Intrinsic review at Pens! Paper! Pencils! | Inkdependence! Franklin-Christoph Model 02 Intrinsic review at Pens! Paper! Pencils! Go and check out this review. 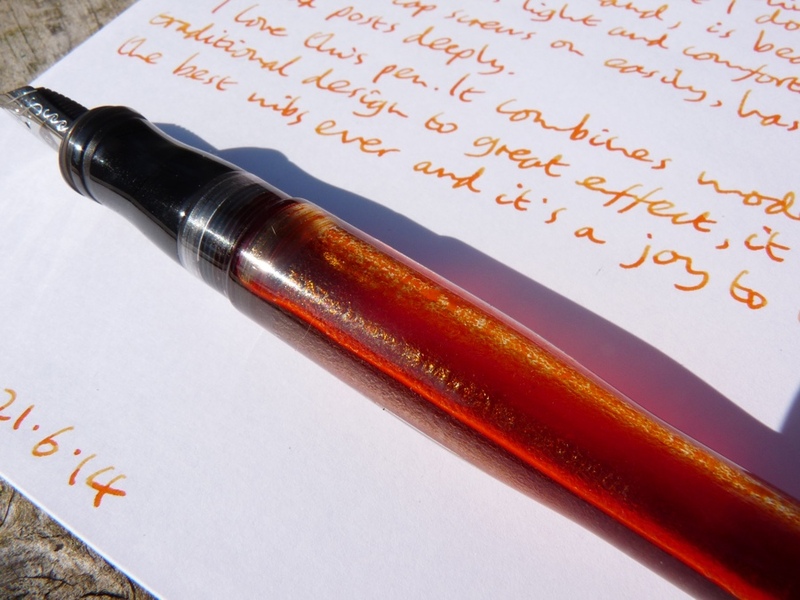 I've not been an eyedropper fan, but the pictures on this review are changing my mind. I haven't gotten this pen because it would be a shame not to use it as an eyedropper, and I probably wouldn't. I might come around eventually, though. From Pens! Paper! Pencils! post.